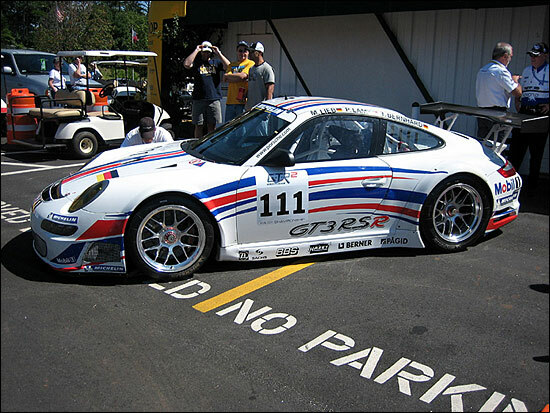 Porsche took Petit Le Mans as the venue to introduce to the US press their new production based (type 997) race car, the 2007 911 GT3 RSR. 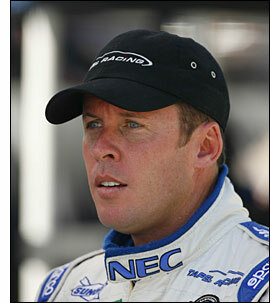 Also introduced were the first two teams to commit to purchasing examples, Flying Lizard Motorsports and Tafel Racing. According to the release from Porsche, “Featuring the body of the 911 GT3 RS, which is based on the 911 Carrera 4, the 911 GT3 RSR has wider rear fenders and rear track to improve performance capabilities over its predecessor. The car has also been developed to fit into the 1,225 kg class, which allows for two inch-wider rear wheels (14 inches), and part of the added weight has been used to lower the center of gravity. The new 911 GT3 RSR will also improve aerodynamic efficiency by seven percent and body stiffness has been increased by 10%.” Also improvements in the electrical system were incorporated, based upon input from customers, to improve the serviceability of the systems. 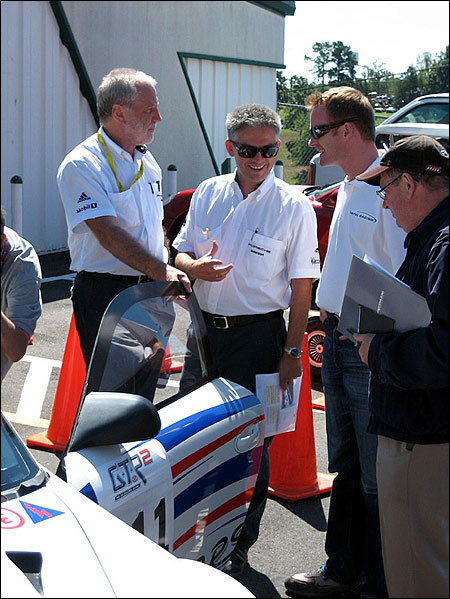 While announcing the Lizards and Tafel as the teams that have made the commitments, Brettel indicated that “other U.S. teams have shown interest in the newest Porsche road racer for 2007,” and that he hopes there will be additional team announcements soon. All of the ALMS teams that order the car will have them delivered in time for the annual winter testing at Sebring, scheduled to take place January 22 -24 2007. In announcing their commitment to run the new 997 next season, Seth Neiman, one of the Lizards owners, stated, “We are proud of the strong relationship that we've been able to build with Porsche and the ALMS over the last three years. Porsche has a long and inspiring history of responding to competitive challenges. The release of the new Porsche 911 GT3 RSR is the next chapter in that story and we're excited to play a part in it as we move into our fourth year in the American Le Mans Series." There was no announcement of drivers for the Lizards at this time, but Tafel announced that they would be having Robin Liddell and Wolf Henzler in one car, with team owner Jim Tafel (right) and Dominik Farnbacher in their second car. Tafel is moving over from the Grand Am where they competed as a three car team, placing all three cars in the top 10 for the season, earning 11 podium finishes and 5 wins. Not all ties to the Grand Am will be severed though, as Tony Dowe, Technical Director for Tafel, indicated that the team would be competing at the season opening Daytona 24 hour race. Tafel is also fresh off testing the car at Sebring this last week. “This relationship with Porsche will be a great opportunity for Tafel Racing to add to its engineering resources in a quality environment. Our program is at a point in our development where we feel that we can perform well against the very high level of competition the ALMS provides,” summed up Tafel. Below is one of the Spa 24 Hours cars, which was used for recent testing, and below that are Roland Kussmaul, Uwe Brettel and Robin Liddell, with Andrew Marriot of SPEED TV on the right.